Belfast International Arts Festival runs from 6th to 28th October 2017. Belfast International Arts Festival are recruiting a team of enthusiastic volunteers to help deliver an unforgettable experience to all visitors. The festival’s growing stature attracts renowned artists from across the globe. Audiences will be entertained by a number of performances never before seen in the UK or Ireland including the UK premiere of ‘Compassion: The History of a Machine Gun’ from the Schaubuhne, Berlin. House hold names such Paul Carrick will also take centre stage. 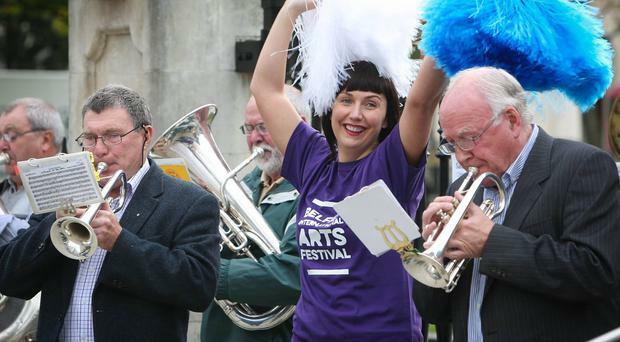 Belfast International Arts Festival is led by some of the top professionals in the industry. Volunteering will give participants an insight into the world of arts, events and PR. The experience may also lead to invaluable networking and industry contacts. Festival Director, Richard Wakely, greatly appreciates the integral role volunteers play in the annual event. “Volunteers will be an invaluable part of putting Northern Ireland on the map as an international arts venue. The closing date for applications is Friday 1st September. Volunteers will be appointed on a first come first serve basis.